May 21-28, 2015 – Last weeks of May are very hectic for Semeoticons project as the 4rd plenary meeting and the 1st integration week has been held at CNR, Pisa. Interesting advances were shown by all the partner and the 1st Wize Mirror prototype was seen by all the consortium by first time. May 14, 2015 – Our CEO, Meritxell Gimeno atends at the World Telecommunication Day in the conference of "Telecommunications and ICT: Innovation driver" organized by COETTC. Antoni Vives, from Barcelona City Council and Ferran Amago as a dean of COETTC, were responsible to open the conference with a number of the most representative experts and ICT professionals of the sector. 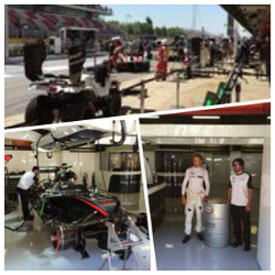 May 8, 2015 – Draco team was invited to attend to the Formula One First Practice Session at the McLaren Honda hospitality during the Montmelo circuit race by Freescale. Access to the Paddock Pit Lane, private tours into the McLaren team garage, GP2 and GP3 practice session and GP2 qualifying session, were some of the activities that we share with the McLaren and Freescale technical team.Thanks FREESCALE for that amesing experience!! March 12, 2015 – Meritxell Gimeno participates at II Circle of Conferences: Entrepreneurs Today at the "Auditori del Centre de Cultures i Cooperació Transfronterera del Campus de Cappont" organised by the University of Lleida, as a successful company after 10 years from the creation of DRACO. 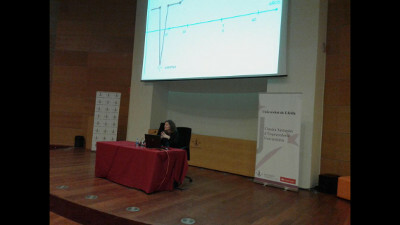 Meritxell talked about the adventures, strategies, difficulties, lessons learned and lessons to learn. More than 100 attendees attended and asked interesting questions. 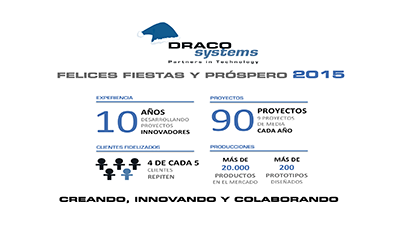 December 24, 2014 – Our CEO, Meritxell Gimeno wishes a happy 2015 with lots of creativity, innovation and collaboration to all our customers, providers and collaborators via e-mail. Remembering some important figures after 10 years in business. November 27-28, 2014 – Semeoticons 3rd Plenary meeting at FORTH (Foundation for Research and Technology) facilities in Heraklion, Crete, Greece. The achieved results were presented as well as some important decisions were taken about the mirror structure. 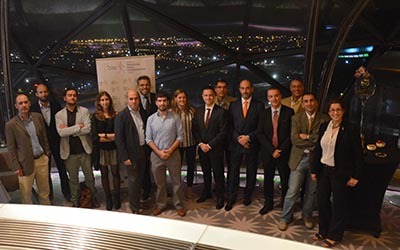 November 18, 2014 – Attendance to the Smart City congress where diferent cities presented their innovations in the Living Labs. In addition, Draco team attended to the Smart City Challenges. 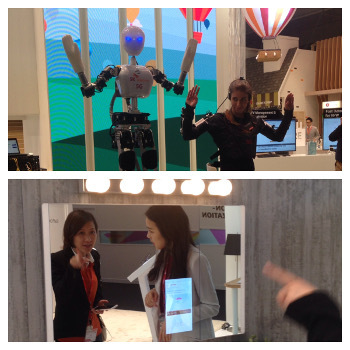 November 11, 2014 – As every 2 years, Draco team attended to the Electronica Show 2014 in Munich, Germany to see the news of the sector, visit providers and look for new innovations to be used in near future in-house developments. 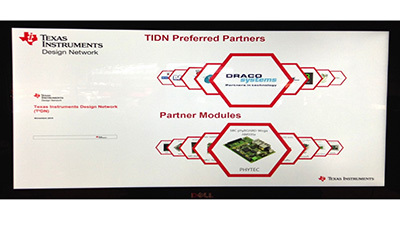 Draco has presence at the TI coffee booth where some of our developments where presented. 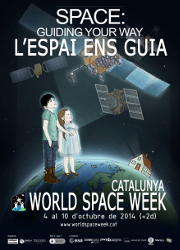 October 10, 2014 – Our CEO, Meritxell Gimeno participates at the World Space Week. In particular, she will talk about her experience when she applied for an ESA Astronaut position in 2009. The conference will be held at Parc UPC - Escola d'Enginyeria de Telecomunicació i Aeroespacial de Castelldefels, Barcelona. 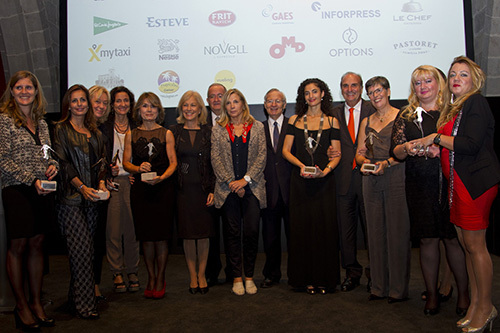 October 1, 2014 – Our CEO, Meritxell Gimeno receives the Technological Award from FIDEM at Casa Llotja de Mar, Barcelona sourronded by a number of Catalan Business representatives, politicians, family, friends and Draco's team. 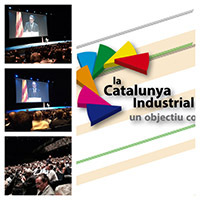 July 4, 2014 – Attendance to the presentation of the program “La Catalunya Industrial, un objectiu compartit” by the “Conseller d’Empresa i Ocupació”, Felip Puig i Godes and by “President de la Generalitat de Catalunya”, Artur Mas i Gavarró. All the Catalan industrial representatives attended to the Meeting. June 24-25, 2014 – Semeoticons 2nd Plenary meeting at Linköping university, Sweden. The achieved results were presented as well as some important decisions were taken. June 5, 2014 – Visit at the Barraquer facilities guided by Dr. Gorka Martinez Grau. 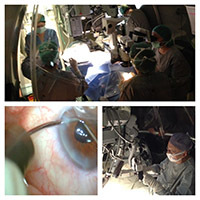 In addition, we have the privilege to watch a real time ophthalmic surgery from the dome at operating rooms conducted by Prof. Joaquin Barraquer and by Dra. Elena Barraquer. April 24, 2014 - The International Girls in ICT Day is an opportunity for girls and young women to get inspired about ICT sector by getting a first-hand look into the ICT institutions and listening to women role models. 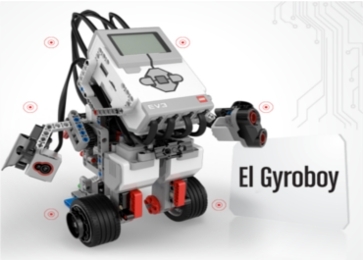 March 23, 2014 - The FIRST LEGO Leagues is a challenge for students between 10 to 16 years old from all around the world to foster scientific and technology careers, innovation, team-work, creativity and entrepreneurship among other. 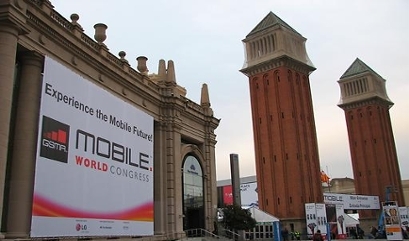 February 26, 2014 - Lots of new innovations for the near future where presented at the MWC from 24 to 27 February. Solutions for smarthome, smartcities, new 360 surround experiences, speakers, LTE broadcas, 4k screens and cameras, new mobile devices (low cost, flex mobile, selt healing coating, double screen mobile...), new chipsets from Qualcomm, Nvidia, ST,..., computer running under water with HZO protection, ultra mobile projector, biometrics capabilities for tablets, security, sports bands for healthy lifestyles..
February 14, 2014 - EO global is an entrepreneur organisation designed to help members to grow their business and became a better leader oferring the connections, tools and resources you need to reach the next step into their entrepreneurial journey. January 23, 2014 - 3 girls-students between 12-15 years old from Oak House School at Barcelona visit DRACO as they would like to became engineers in the near future. They brought very interesting discussions about the different careers to perform, hobbies that may help in their curriculum, etc. January 13, 2014 - We celebrate 10 years in business. Due to that special occasion, we would like to thanks all you for believing, trusting and sharing with us your challenges and thoughts most innovative. December 5, 2013 - To prevent the diffusion of cardio-metabolic diseases, the European Commission has funded an ICT-for-Health research project that will develop a self-monitoring system, having the aspect of a mirror, named “Wize Mirror”, able to guide individuals towards healthy lifestyles. Members from the 10 partners consortium met in Pisa during 2 days to celebrate the kick-off meeting.